On Thursday, me, Ani & Nixo went to see a movie. This happens rarely for me, but it was worth it, especially this time! 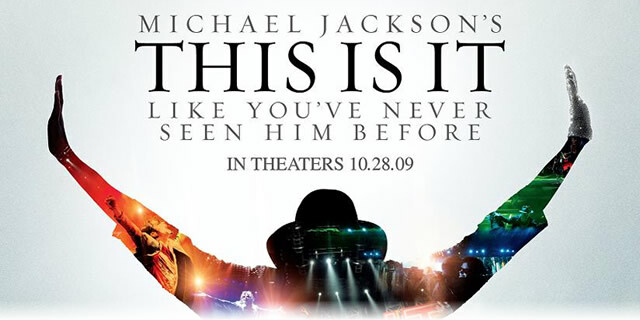 “This Is It“, dedicated to the memory of Michael Jackson, and starring Michael Jackson. Most of the footage shows the preparation for the concerts in London, where Michael Jackson and his group of musicians and dancers had a planned series of 50 shows at the 02 Arena. Before I went to see this movie, I was a bit afraid that I may be disappointed. I was afraid to see a former star, supported on the stage so that he won’t fall down? I was afraid to see Michael Jackson that doesn’t sing and doesn’t dance? Michael was singing, dancing and was giving everything out of himself at the rehearsals! You will really see it like you never did before, if you go to see this movie! 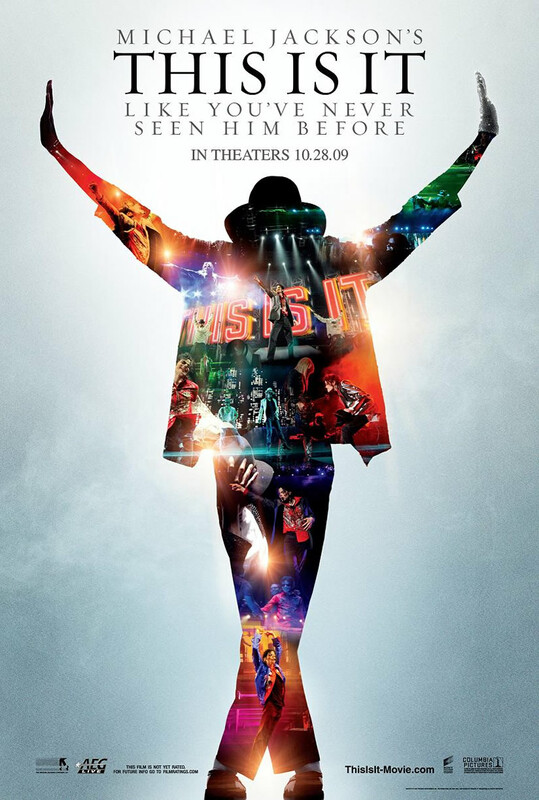 If you like Michael Jackson and appreciate his creative work — go to see this movie on a big screen (the quality of the sound is important, too)! This was a clear view into the integral preparation of a concert by a complete genius. I was never a Michael Jackson fan, however, my wife was and since she was desperate to see the film I decided to accompany her. I was astounded. I could not believe this man in the film was the same person that is was always hounded by the press and made to look like the devil. He was by no means weird, ill health, or a drug user. If he was, he masked it very well. The film shows us what we are missing as far as the concert goes and what a pity, it would have been amazing! He seemed at ease, and so happy and normal while on stage, as if it was built to be his. You would never believe this was the ”freak” that the world perceived him to be. Shame on those people. Genius at work, a perfectionist down the smallest detail and I think the film has captured this very well. What I liked a lot was the fact that the film was not concentrating on his death and tragedy, but solely on his concert, his music, and his geniality and it was a fitting tribute to one of the greatest musicians of our times. So I would urge anyone who has had any miss conceptions about the man to go see this, you like me will more than likely change your views on the man. — A very good and exact comment! In “This Is It” I saw a happy person who was dreaming of music, and dreaming to be there again — on the stage, to sing and dance for all of us! I can’t find the right words, sorry. So, just go and spend some money to see the movie. This will be money well invested, I promise.